Empower yourself and progress towards a healthy well-being with yoga therapy classes in Bangalore. A lifetime opportunity to eliminate and cleanse your body, mind and soul. Experience the joy of unparalleled serenity and natural beauty of Bangalore. Embark upon an inward, refreshing journey of the self here. Bangalore is located on the Deccan plateau in the southern-eastern part of Karnataka. It is famously known as the garden city of India. The city is blessed with pleasant weather throughout the year. When in summers, rest of the India wilts with heat and humidity, Bangaloreans snuggle under warm blankets and enjoy the drizzle. During monsoon, the city is painted with luscious greenery. Numerous magnificent gardens adorn the city which soothes the soul of the visitors. Other attractions include monuments, palaces, heritage buildings, etc. for you to explore. A chance to dwell in the scenic beauty for an invigorating experience. The yoga therapy classes at Shwaasa Kendra is held daily from 10:00 am to 3:00 pm with weekly Wednesday off. Do not miss the opportunity to heal yourself through traditional yoga and Ayurveda practices. 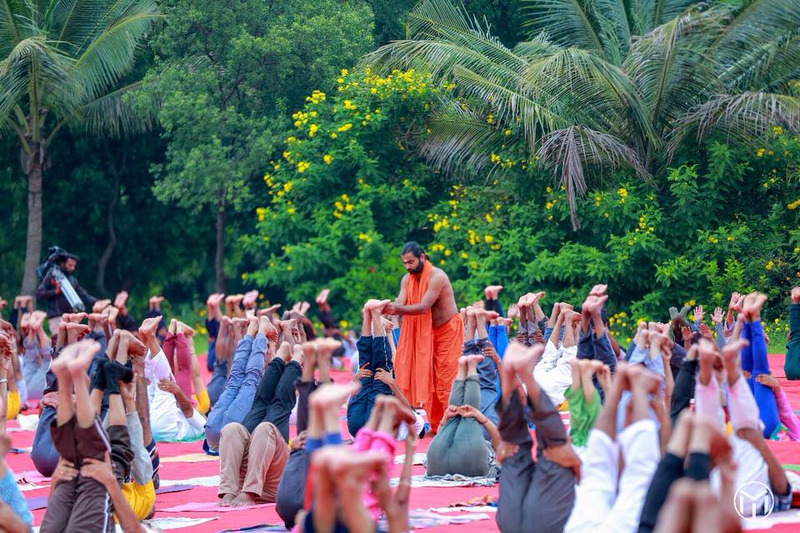 Register for yoga therapy classes in Bangalore by writing to us at info@shwaasa.org or, give us a call at the following numbers: 91 8884612008, 91 8884322008.